Both on these however had paint wear to the green chest sections so not as MINT as the one on ebay. Ive seen the article, just wondering if it is a true variant.? I guess my only question is what do you think a "true variant" is? If it left the factory with a known and confirmed paint application that differs from the others, then it is a variant. If it changed appearance or physical makeup (rigidness, stickiness, etc) over time, then its a transformant. 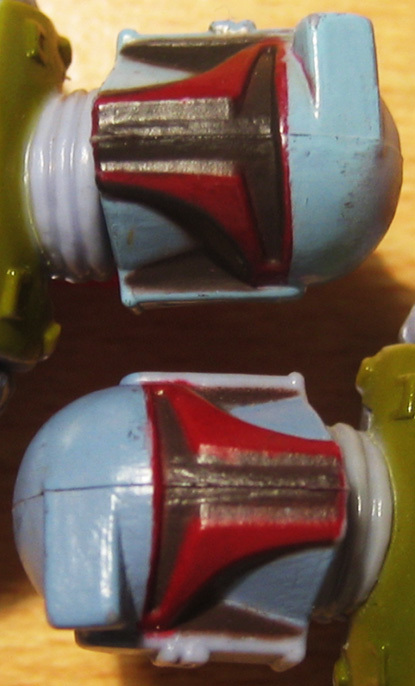 In this case, to me, it is a paint variation for sure. Why it exists will probably never be known. Wolff does give the best explanation, especially when referring to the arms and legs also featuring the same paint colours and this 'extra' blue not being present. 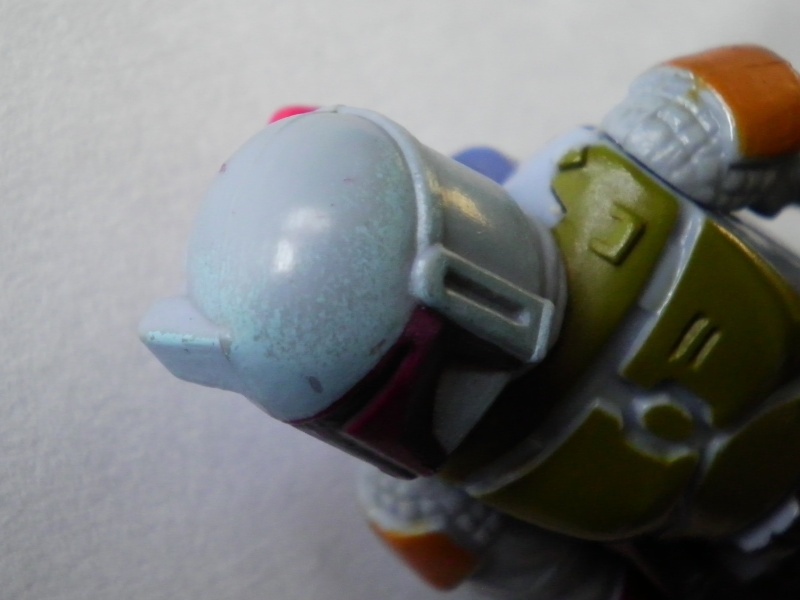 The head of course is made of the same plastic as the arms and legs, so if there was an issue with the paint 'bleeding' then this issue would be the same on the arms and legs, so the likely answer is a factory error of some kind which was covered. This would of course would mean that the numbers of these are likely to be small, at least in the 'bigger' picture, as this issue would have probably been corrected quite quickly. As Julian said, the best way to find out for sure is to strip one layer by layer, but given there rarity not likely to happen. Hopefully a beater will show up at some point with a scuff to the face showing the layers. That's a real hum-dinger ya have there Alex! It's not easy to spot the darker blue colour on pictures. But if you hold both variants in hand you can clearly see the difference! + given for discovering and documenting this variant! And of course: Thanks again Greg for a great variant!! !